There’s been a string of fascinating movies about cults in recent years, from Paul Thomas Anderson’s The Master to Ti West’s quietly brilliant The Sacrament. And Riley Stearns’s (writer-director) impressive debut feature follows suit, albeit in a pleasingly small-scale way. 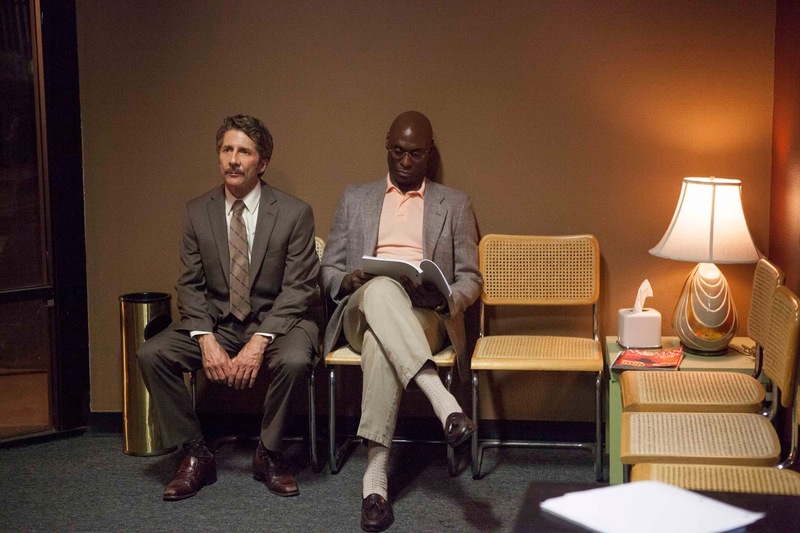 Large sections of Faultsessentially act as a twofer between Leland Orser’s mind control expert, Dr. Ansel Roth, and a de-glamorised Mary Elizabeth Winstead, as cult member, Claire. The movie opens with Ansel broke, and beaten by the soulless life he leads. He tours his new book around nameless towns, staying in characterless hotels, lecturing to faceless crowds. Our introduction to this highly unlikable character even sees him attempting to swipe an extra complimentary meal from his hotel. However, that all changes when Claire’s parents stick around after one of his talks, pleading for help bringing their estranged daughter back to reality and into their lives once more. After initially refusing, all it takes is a free breakfast (and possibly the challenge of a new patient?) to rekindle his passion for this morally questionable science. Claire is then kidnapped and put up in a motel room for five days with Dr. Roth. But as the sessions go on, we come to realise that everything might not be quite as it seems. Stearn leads us down a claustrophobic path with his screenplay, regularly, but subtley, shifting power between Ansel, his manager (who’s after repayment for a botched book deal), Claire’s parents, and maybe even Claire herself. It’s a fascinating struggle for dominance, and working out exactly who is in control at any given time arguably provides the film’s strongest driving force. It results in the themes of social control and free will being far more than just a surface; their influence is seeded deep within this picture. Stearn obviously has a firm handle on this story, and his intelligent direction opens up all sorts of new areas for exploration. By choosing to use very few wide shots, he keeps our attention firmly on these characters. Many of his medium shots also leave characters heads obscured. In the opening sequence in the hotel’s restaurant, the two waiters are left headless for the majority of the scene, ensuring our focus is set squarely on Ansel. This extends to Stearn’s preference for passed-the-body shots, as opposed to the more conventional over-the-shoulder, which leave characters’ heads obscured for extended sections of many scenes. Stearn uses his camera as a careful display of superiority. His blocking and composition establish clear confrontational boundaries between the characters, which he continues to explore and develop as the film progresses. Stearn’s close-ups also often tighten in on objects rather than performers, only to then see the characters move towards or interact with said object. He remains one step ahead of his characters at all times, anticipating their every move. As if they’re all just agents to his grand plan. Which, of course, they are . . .
It’s easy to think of movie characters as being autonomous. But, even the most independent characters all stem from the mind of their creator. There is no free will in cinema, every action has been choreographed, planned and played out countless times by the filmmaker/s. I found myself struggling against the control Stearn had over me during the film – a power visualised by a set of entrancing slow track-ins – but, every time I thought I’d wriggled free, I just found myself snared deeper still. It was a powerful experience, and one that you should actively try and fight. Taking a moment to challenge what you’re being shown is an obvious entry point to the more obscured areas of the film. Interestingly, in true John Ford fashion, one of Stearn’s strongest motifs is doorways and the true power, or lack thereof, of a door. He suggests that, even though a door may be closed to you, it doesn’t mean you can’t break free. This is used as an allegory for society and the control authority figures can have over us. Stearn develops this motif by using doorways as portals to another world. Towards the end of the film, we see a number of doorways flooding our characters with unnaturally bright white light, reminiscent of the possessive call of an alien spaceship’s tractor beam. His use of lighting is another craft mastered, and all from a first time filmmaker. Now, his cinematographer (Michael Ragen) and his lighting team (lead by Connor O’Brien) will have played a big part in delivering on Stearn’s vision, but it takes a keen eye to even spot the potential here. He also gets strong performances out of his two leads. Understandably, much of Winstead’s performance comes across as somewhat mechanical, but once again there are layers to her work here that require time to process and uncover. And, as audience perception of Claire changes, her performance ensures the character remains rooted. I also noticed that Winstead very rarely, if ever (I’d have to watch it again to be sure), blinks. It’s the kind of subtle, but immensely effective, detail that makes her character so unnerving. But, it’s Orser who’s given more dramatic range to explore, and he handles it expertly. He transitions from unlikable cheat, to reaffirmed practitioner, to bullied little guy – in a subplot that only really comes into it’s own in hindsight – totally naturally. And, that’s without really delving into who this character is. Seeing Dr. Roth come into his own when he’s given this new challenge is remarkably moving and it casts a whole new light on the low-life we’re introduced to in that restaurant sequence. Heather McIntosh also deserves a great deal of credit for her unnerving score. She blurs abstract instrumentation with ambient sound to brilliant effect, echoing Jonny Greenwood’s much-lauded work with Paul Thomas Anderson on films such as There Will Be Blood and the aforementioned The Master. The soundscape is arguably more openly oppressive than Ragen’s visuals, and McIntosh serpentine score keeps us on edge throughout. I only started to truly uncover the extraordinary depths of Faults in the days after viewing. On the surface, it may look like a great concept left lacking in its execution, but there’s a great deal going on behind the scenes. So take a moment to really explore the frame, because there’s a wealth of riches just waiting to be uncovered. 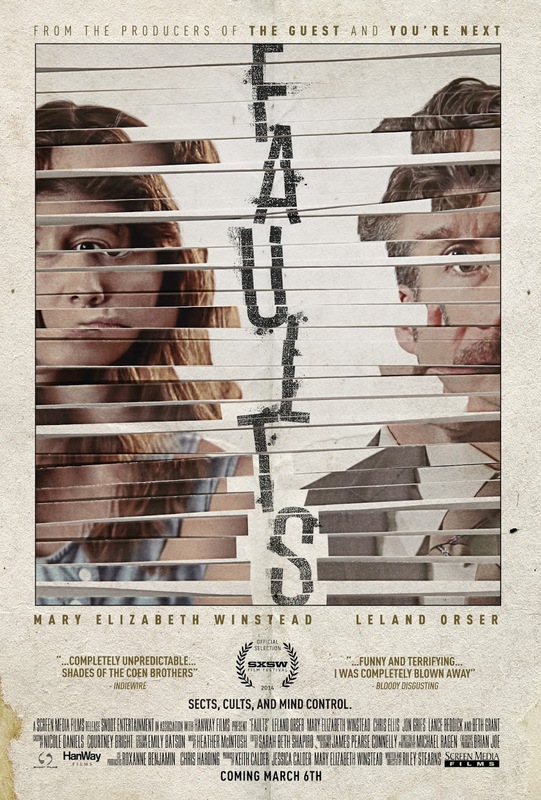 Faults is out now on UK VOD services! Screener and images provided by Alarm Pictures. Thank you!